The Blizzard of '77 has been kinder to the Dansville & Mt. Morris than it was to the Buffalo area, where drifts up to 40 feet high were reported, but it still looks like the railroad has been shut down for the time being. Dansville, New York was home to a number of industries, as evidenced by the loads here awaiting resumption of service. 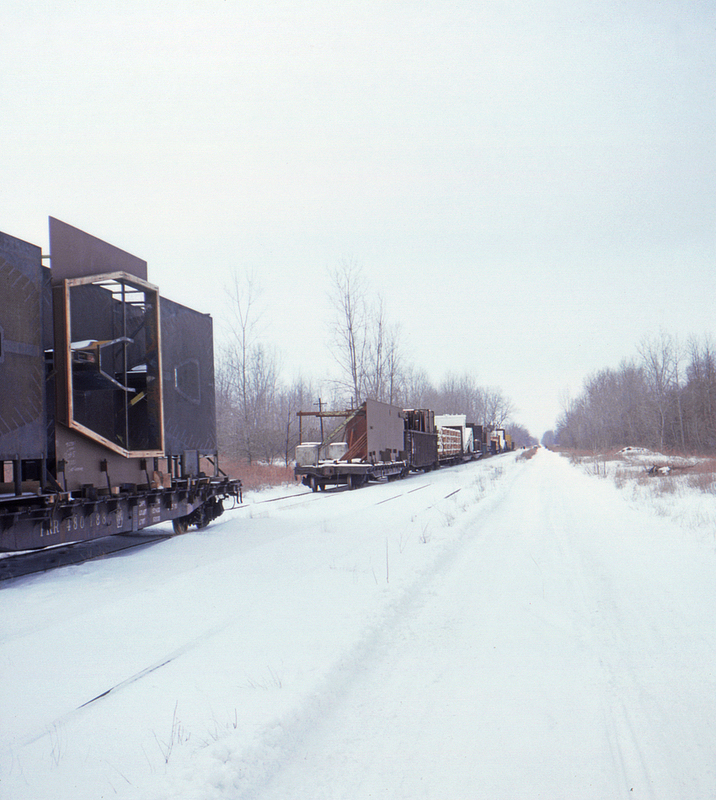 This slide was taken near Dansville, possibly from the Zerfass Road grade crossing.